It seems I'm stuck in a casual rut. I have an informal meeting at work today that I COULD dress up for but I just don't want to. Maybe it's the weather (it's cold here today) or maybe it's that I prefer casual to smart? 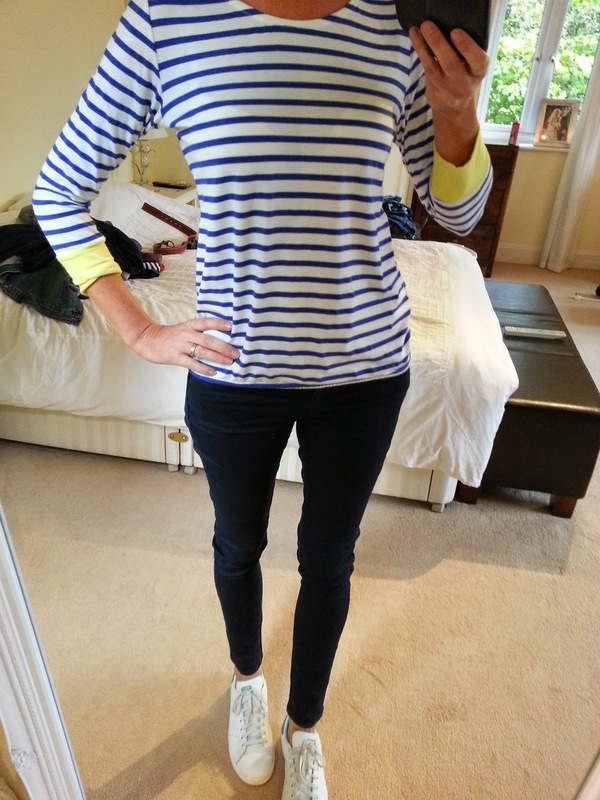 Simply does it with a favourite breton top, skinny jeans, Adidas trainers, scarf and denim jacket. 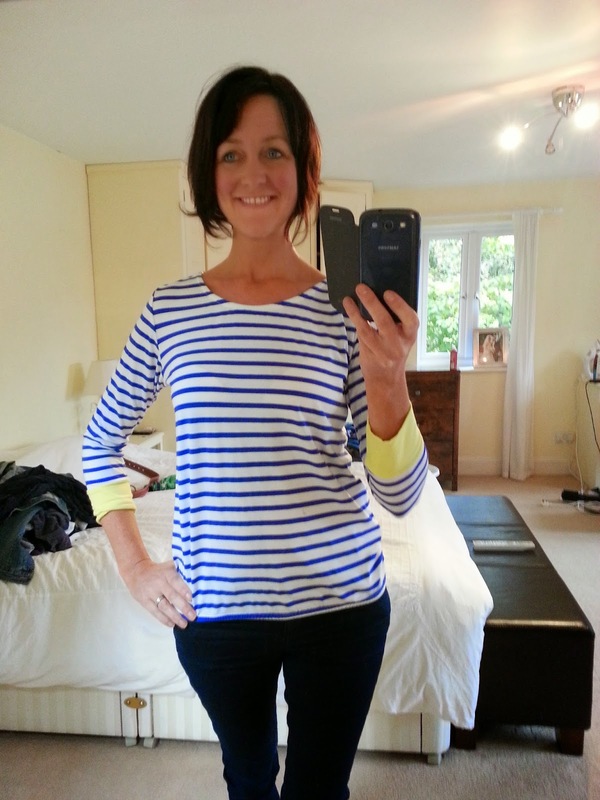 What's your fall back comfort zone style? I am so in love with not tanning legs and covering up with jeans! I stole it from my shop! 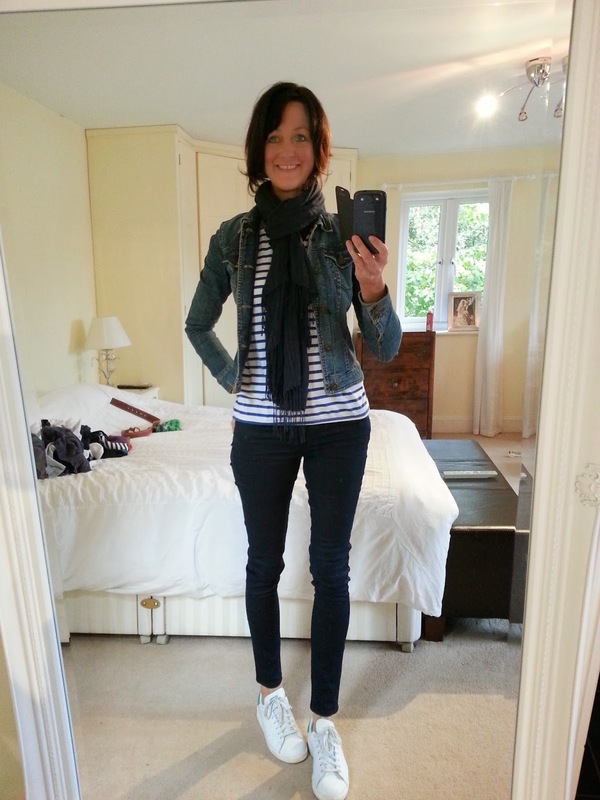 You can't beat a breton Fiona! Can you get arrested for having too many because I think I have 5 now (and still lust after more)! Super casual look, and I'm still loving your hair, it looks great. I love it too - it plays ball more often now than it did when it was longer and frizzier! Always a problem September I find. We tend to have a lovely month but mornings and evenings, the temperatures do drop. I never know whether to layer up and be hot in the afternoon or wear my summer clothes and freeze either side of the day! !